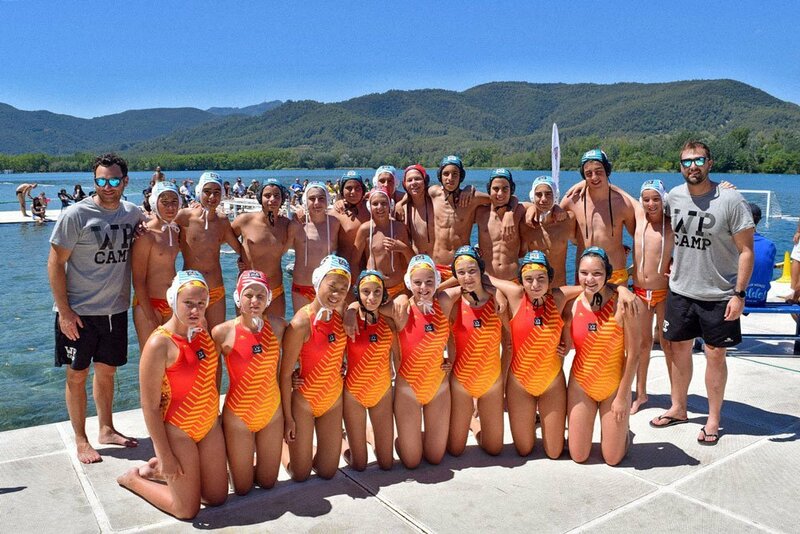 For second year in a row, the WP CAMP water polo campus in Banyoles (Girona) will be the best fun and learning option during the second half of July 2018. Both the WP CAMP XTRM (players from years 2002 to 2005) and the WP CAMP KIDS (players from years 2006 to 2008) will enjoy one or two weeks of training, activities and coexistence. Located just one-hour-drive from Barcelona, Banyoles is a very beautiful city with a spectacular environment. WP CAMP will offer the option of bus transportation from the Sants Train Station in Barcelona. Our water polo campus are ruled in Spanish, but our team also speak English. Having the best Spanish water polo technical team and facilities prepared for sports and adventure activities, the participants of the WP CAMP water polo campus in Banyoles will discover a new program that will further enhance their experience. One of the novelties next summer is that the final party of each week will be held in El Collell, with the option that family members can also attend a large barbecue to close the week of campus. The WP CAMP XTRM water polo campus will arrive next summer at its sixth edition. Our oldest water polo campus will keep their training in Lake Banyoles and will incorporate sessions in El Collell pool to continue perfecting technique thanks to the Watlicam water camera. The participants in the third WP CAMP KIDS water polo campus will train in the same facilities where they will stay to offer them more comfort and fun. This year, we will also launch new adventure and leisure activities, further encouraging the relationship between the coaches and the athletes. Registrations are now open. The registration process must be done directly in the same information page of our website, specifically in the lower part of it. Once you fill in the form, you will receive an automatic email with the following steps to complete the reservation. We take this opportunity to inform you that places are limited. The WP CAMP water polo campus in Banyoles have the collaboration of CN Banyoles, the travel agency Viatgi and our technical sponsor Turbo.